Hoag Medical Group is one of the premier health and medical groups in California, with multiple facilities in the Orange County area. 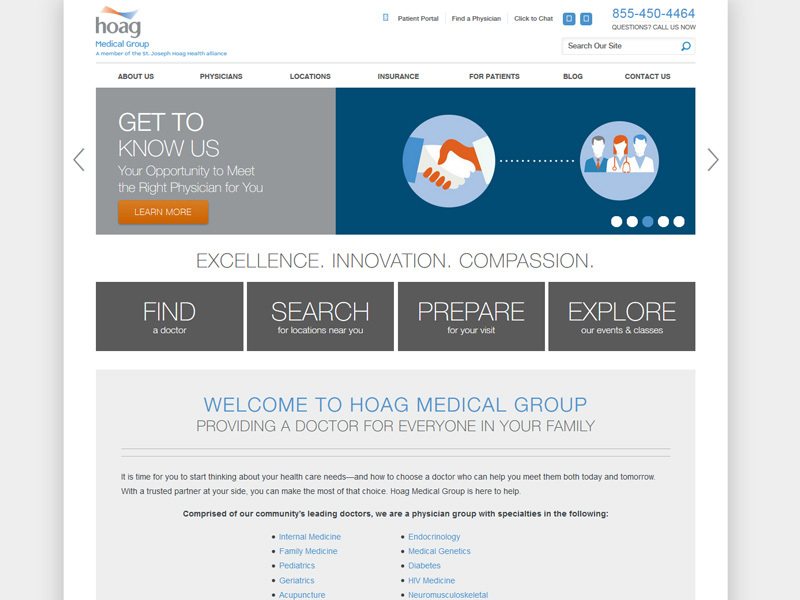 Their medical group needed a site separate from the primary website (www.hoag.com) to focus on their medical group physicians and their fields of specialty. The site was meant to cater to new and returning patients that need information on insurance, physical directories, and the groups fields of specialties. The site also required a blog, and a patient portal. After discussions it was decided that a custom content management website built on the ASP.net framework would be ideal in its scalability and flexibility of the management interface for updating the site.